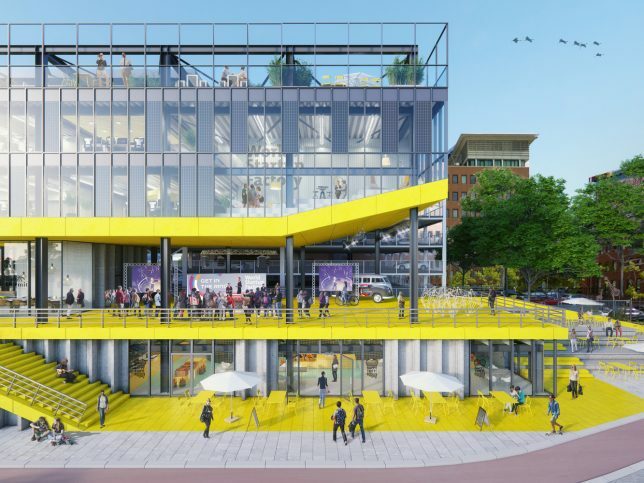 As autonomous vehicles begin to roll out on city streets, adaptive reuse projects like this one could help old parking structures readily find new and productive urban purposes. 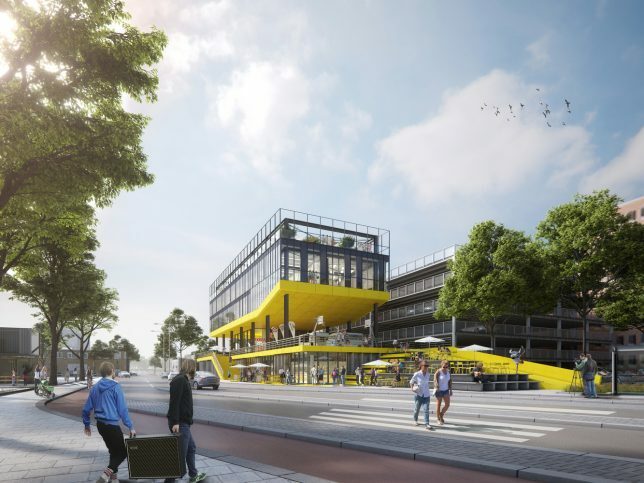 This award-winning design by Dutch firm Studio Komma and The Men of Foam for The Hague features a mixed-use program built on the bones of an existing parking garage, with a twist: parts can be moved around like modular LEGO blocks. 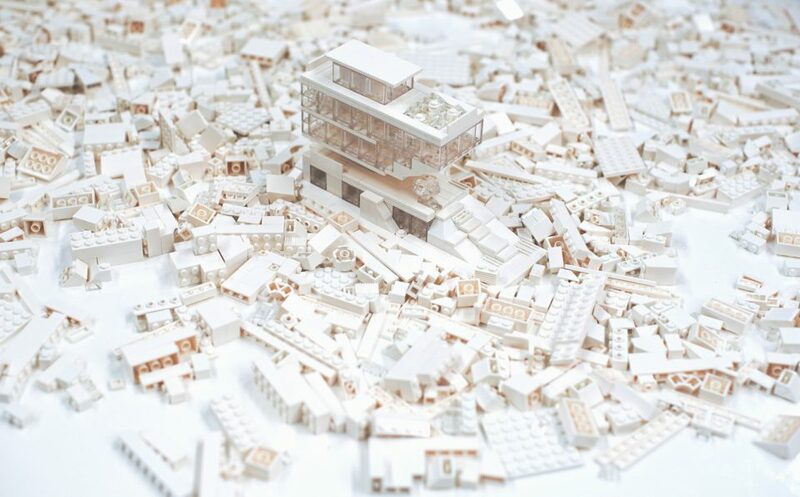 And the LEGO piece is no idle comparison — the team used actual bricks to mock up their designs, focusing on how individual modules could play larger roles in the overall scheme. They also considered how these same re-situated units might later be shifted around to serve other functions. 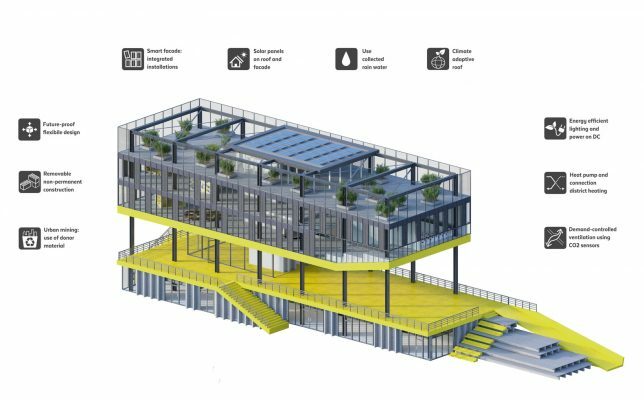 Ground floors commercial and social spaces are fit into the framework of the extant garage, using the old second-story parking level for overhead shelter. 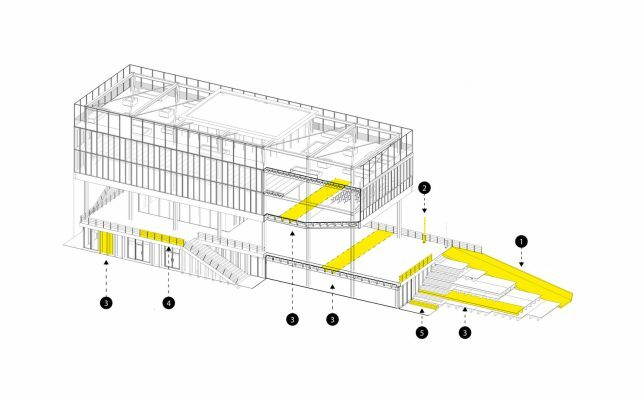 Above the existing second level, new levels reuse ramps and other elements to grow the program vertically — these mostly-indoor third and fourth floors shelter an outdoor public zone left open in the middle. 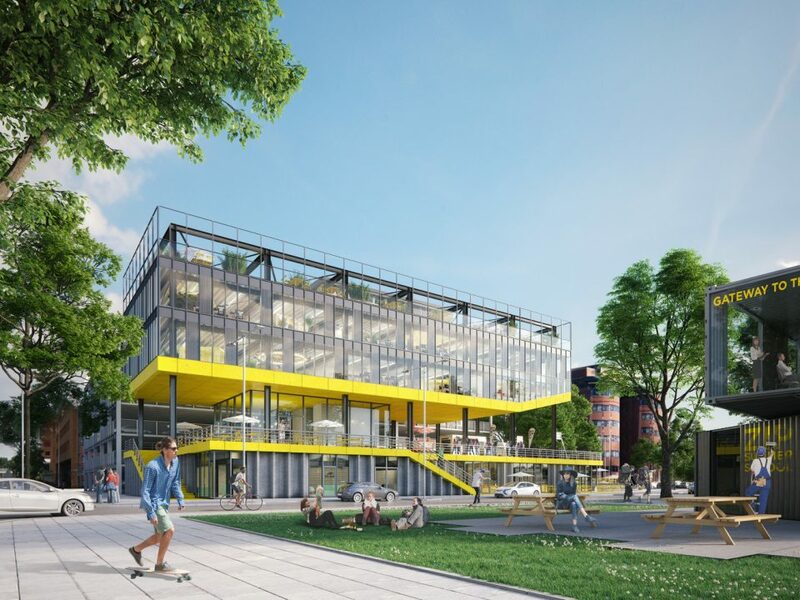 Colors and details in the proposed scheme highlight elements of the adaptive reuse while aiming “to create an iconic building that is an accelerator for the transformation of an industrial area into a new energetic urban district.” Pieces of the old structure are preserved and made modular, fitting into the new program where useful but retaining aspects of their original shape and character to illustrate change over time. 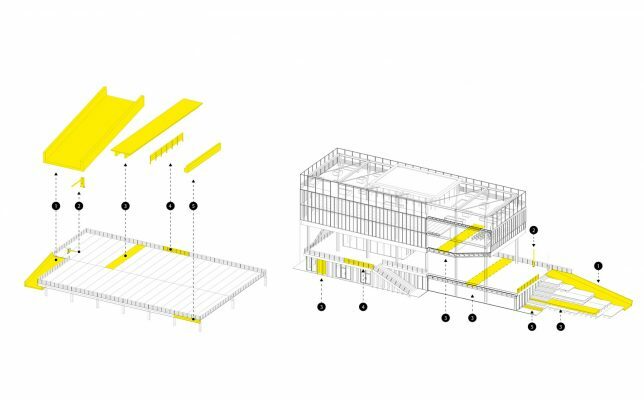 In developing the ZIP2516 scheme, which subsequently won the Lot 2 Urban Lab Challenge, the architects were “challenged to think about temporary structures that have a permanent high quality.” Its modularity is intended to extend into the future as well — additional elements (like glass cladding and structural supports) are made to be moved as the needs of the site and city continue to evolve.